RUBY FARMS SITS DEEP IN THE MOUNTAINS OF BEND, OREGON. Our cannabis is grown with volcanically purified water in a fully climate-controlled environment powered by solar energy. We cultivate and hand pick from the most rare and exotic phenotypes, crafted for taste and for clean elevated experiences. The Oregonian standard for craft cannabis is the highest of anywhere in the world. We use our proprietary growing techniques to produce the finest cannabis possible. With over 100 years of combined farming experience, our cultivators only grow strains from our breeding program with extremely rare genotypes. We also do a full cure making sure our flowers have the best taste, with a draw that is smooth and burns evenly. Our flowers are hand-trimmed and Clean Green Certified. To guarantee the best possible cannabis, our master growers have developed a unique micro-farming program. This complex process involves the mapping of soils, organic feeding, and tea regiments that are tailored to each of our unique strains. Quality and consistency are what we pride ourselves on. Ruby J's are about quality and convenience. They are handcrafted with 100% top-shelf cannabis grown at our farm. The paper is made from hemp. 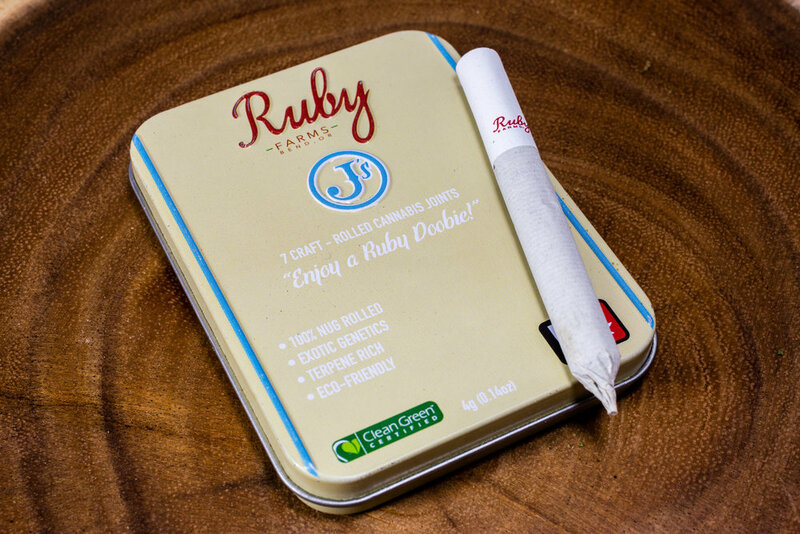 Ruby J's come with 7 individually wrapped cannabis joints with a net weight of 4 grams, which makes it perfect for on-the-go. All strains have very high terpene profiles leaving a great taste and elevated experience. Ruby J's come in sativa, indica, hybrid, and CBD strains. You can find our handcrafted cannabis joints across the state at our partner locations. We believe cannabis should always be served in a way that keeps the flower as fresh as possible and gives it an additional cure. Our Ruby Jars cannabis is all hand-trimmed and hand-selected from our world class stable of genetics. Jars are served in 1/8 or 1/4 ounce varieties. Ruby Jars can be found in one of our custom wooden display cases at dispensaries across the state. No matter what part of Oregon you are in, you will get the same flower each time ensuring quality, consistency, and taste. Ruby Oil is freshly distilled on our farm in our revolutionary cannabis distillery. Our proprietary freezing and extraction process ensures a consistent high terpene profile and highly concentrated THC and CBD levels. Distillate - also known as "the clear" - is now the most highly demanded concentrate on the market and is being used as the main ingredient for most products from edibles to vape cartridges. Ruby Farms collaborates with a number of production companies across Oregon supplying wholesale oil. The quality of oil is dependent on the quality of the cannabis and Ruby Farms only works with the highest standard of clean green flower. 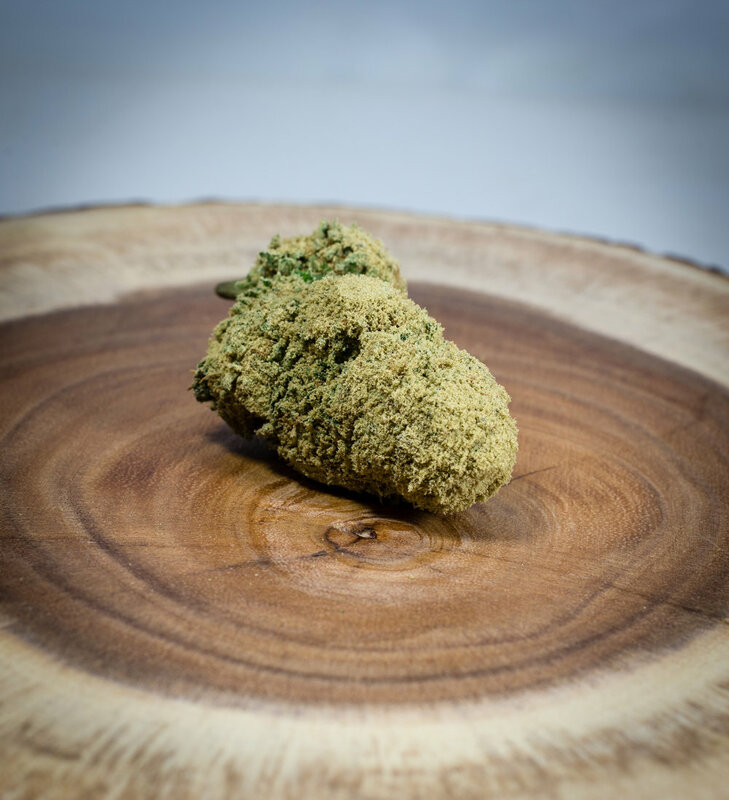 Ruby Caviar is made from the finest cannabis nugs which gets dipped in a blend of our premiere oil and kief. Our exotic caviar is extremely potent and is only recommended for the sophisticated cannabis consumer. Look for our limited drop in dispensaries across Oregon. If you are a OLCC licensed recreational shop interested in carrying our products please contact us at hello@rubyfarmsusa.com. We are rapidly growing and always looking for fresh new talent to add to our team. If you feel you would be an asset, have a positive attitude and work ethic please send us an email or a message hello@rubyfarmsusa.com. If you’re looking to collaborate on a product and would like to work with Ruby Farms feel free to reach out! We donate a portion of our proceeds to the Save a Warrior Foundation.